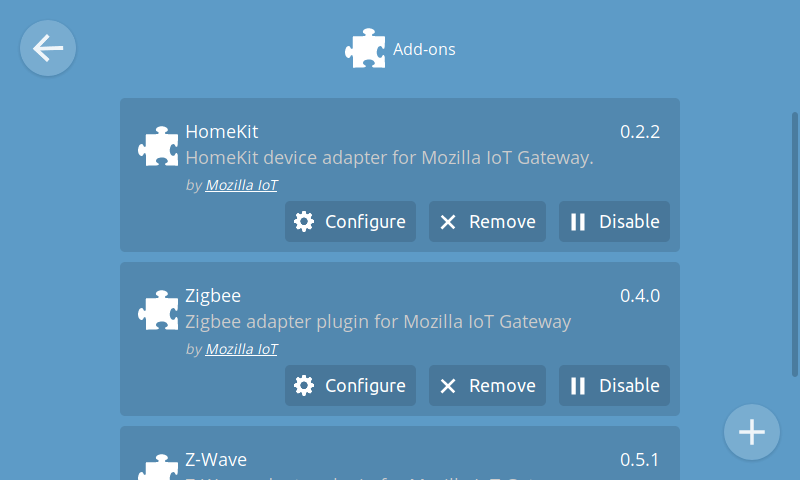 Monitor and control all your smart home devices via a unified web interface. 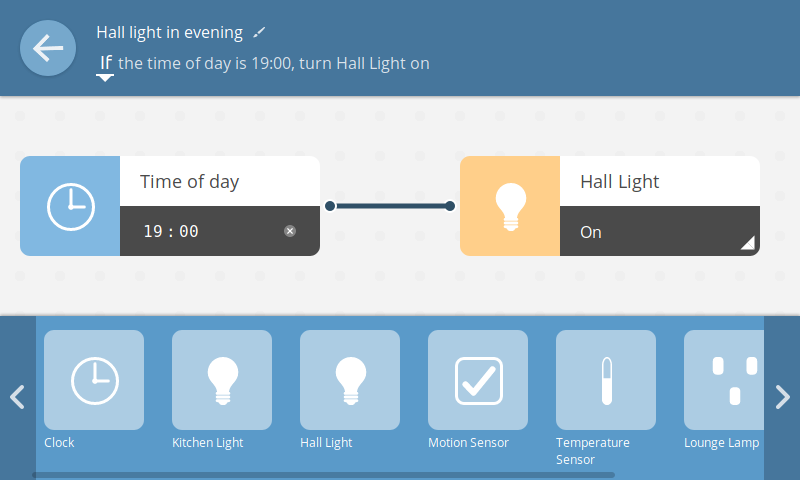 Create "if this then that" style rules to automate your home with a simple drag and drop interface. 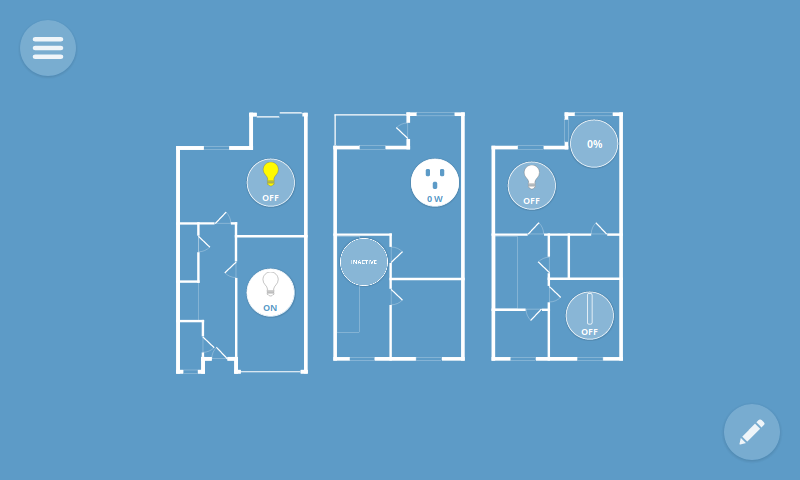 Lay out all your devices on an interactive floorplan of your home for at-a-glance status and control. 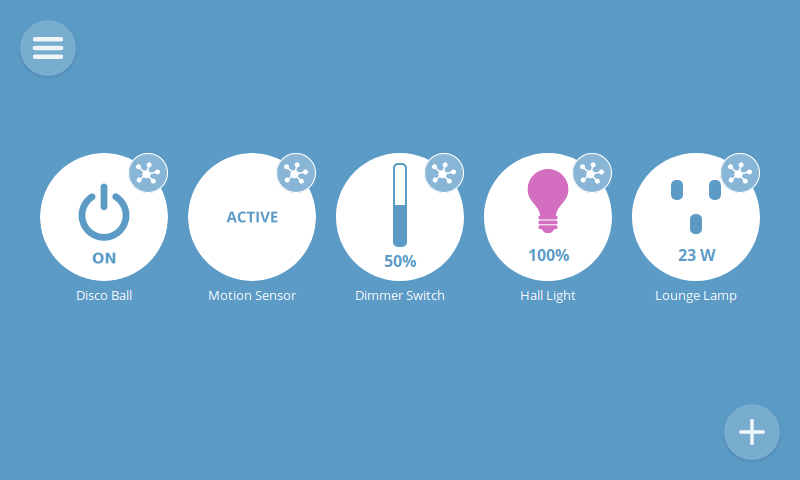 Control your home with your voice or written commands via a chat style interface. Add compatibility with more devices and protocols with adapter add-ons. Portions of this content are ©1998–2019 by individual mozilla.org contributors. Content available under a Creative Commons license. "Raspberry Pi" is a trademark of the Raspberry Pi Foundation. Raspberry Pi illustration derived from source work licensed CC-BY-SA-3.0.